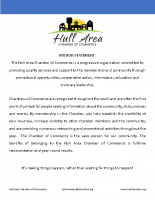 Joining your local Chamber of Commerce means you are joining others to improve the quality of life in the Hull community. ‌Increased promotion of local businesses. Activities and promotions year round. Chamber of Commerce office operations. Business Referral Services – When the Chamber gets an inquiry for a particular type of business in town, we refer those people to Chamber Members! Inclusion in Winter & Summer Clearance events and various retail events throughout the year. 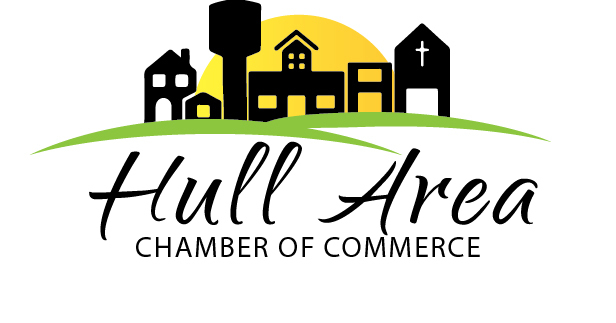 The Chamber is the primary organization in the community working along with the Hull businesses, to advance community growth & development. With your commitment, we can all work together to continue to make Hull a better place to live, work & play! Annual membership dues are based on your business classification, size and number of employees. Business Directory Classification: please review categories and select classification.